The bar of expectations was set so low for the Singapore summit meeting of Donald Trump and Kim Jong-un on June 12 that both leaders were able to clear it fairly easily. What may be less obvious at first glance is that other foreign actors in the Korean peninsula, notably China and Russia, can also derive satisfaction from the meeting. As most commentators have noted, the face-to-face meeting between the U.S. president and the North Korean leader was much stronger on symbolism than on substance. Last year Trump had threatened North Korea with “fire and fury,” and there were fears of a nuclear confrontation on the Korean peninsula. The warm handshake between the two men was a serious token of peace, as even some of Trump’s most grudging critics have acknowledged. The actual statement signed by Trump and Kim in the Capella Hotel in Singapore does not move the settlement of the Korean crisis much further forward. The brief text has much less detail than previous documents signed by North Korea and the United States. The most significant promise made by the U.S. side—Trump’s pledge to halt joint military exercises with South Korea—was made verbally and not put on paper. The many difficult outstanding questions will now be the subject of long and difficult negotiation. But as the Singapore summit ended without filling in the details, it can be hailed as a success not just in Pyongyang and Washington but in Beijing and Moscow as well. Undoubtedly the biggest beneficiary from the meeting was Kim Jong-un. Only a few months ago he was the leader of a rogue nation threatened with international isolation or even war. Now his status has changed beyond recognition. The sight of the North Korean and the American flags side by side, the friendly tone with which Trump addressed him as a “very talented man,” the invitation to the White House, have changed all that and given Kim unprecedented positive news coverage. Kim has achieved this without conceding anything significant. 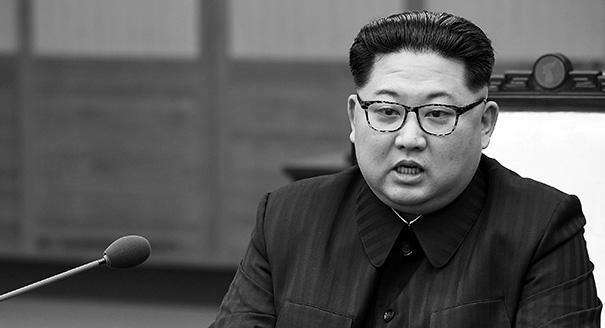 He is reported to have announced a moratorium on nuclear and ballistic missile testing and the shutting down of a major nuclear test facility. 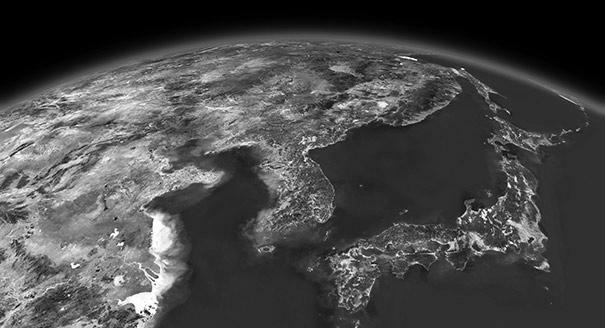 But those commitments are reversible and they are far from the United States’ main goal, the complete, verifiable, and irreversible nuclear disarmament of North Korea. Singapore confirms that North Korea has emerged from diplomatic isolation. Only Japan is unhappy with the summit, as several of its core concerns have been left unaddressed. Others are more satisfied. Most notably, following the threats of war last year, South Korean president Moon Jae-in has twice met with Kim Jong-un in the last few months. He has hailed the June 12 meeting as a great success. Relations between North Korea and China have also normalized after a rocky period. 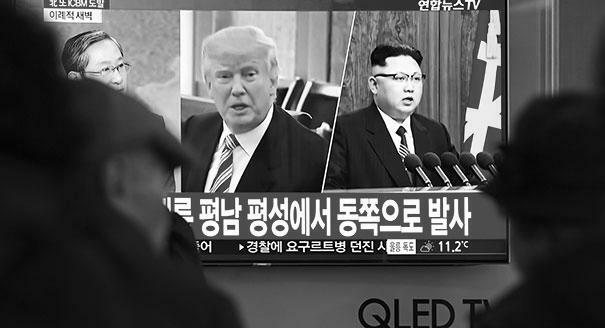 The two countries had been in a downward spiral of distrust as Pyongyang resented its dependence on Beijing and the Chinese were upset that the North Koreans were no longer heeding the advice of their senior comrades. After coming to power at almost the same moment as Xi Jinping in 2012, Kim had purged the North Korean elite of several senior pro-Chinese figures. The assassination in Malaysia of Kim’s half-brother Kim Jong-nam spoiled relations even further. Yet ahead of his summit with the United States, Kim needed to be able to prove that he had a strong ally and therefore extra cards up his sleeve. The Chinese needed reassurance that the North Korean leader would not make unacceptable compromises at his meeting with Trump. This was the background to Kim’s unprecedented trip in March to China to meet Xi, followed by another meeting between the two leaders in May. The necessary protocol for such a meeting was observed. The junior leader traveled to meet the senior one, who was treated with due respect and praise. In that sense a positive reset in North Korean-Chinese relations is another side effect of the Singapore summit—a fact that was underlined when Kim returned home on a special Air China flight. In his press conference Trump also said that if Beijing had not supported tougher sanctions on Pyongyang, the North Koreans would not have been so ready for compromise. A similar story can be told of North Korea’s improved relations with Russia. Russian Foreign Minister Sergey Lavrov visited Pyongyang on May 31 to underline Moscow’s stake in the process. Although Russia had only minimal input in the Singapore summit, it will be pleased with the de-escalation of a crisis on its borders. Russia can declare that the United States and North Korea are now following a three-point plan set out by Beijing and Moscow. Even if the Americans and North Koreans paid little attention to the plan in practice, that will not stop the Russian government hailing the success of its diplomacy. Lavrov’s visit to North Korea has put relations between Moscow and Pyongyang on a new footing. Logically, the next step may be a summit between Kim and Vladimir Putin. That could possibly happen in September when Putin visits Vladivostok for the Eastern Economic Forum. As Trump spoke of North Korea as a potential destination for foreign investment, so Putin will recall plans for a railway route that would bring South Korean cargoes to the Trans-Siberian Railway and a gas pipeline and electrical power lines that could pass from South Korea to Russia via North Korea. That would give Pyongyang not just transit revenues but also reasons to be more pacific. Moscow has fewer levers of influence on the forthcoming negotiations than does Beijing, but it does have the reassurance that any agreement reached must be confirmed by resolutions of the UN Security Council, where it has a veto.